Here it is! The link to listen to "Long Road Back" - my new CD of all original tunes! This is rock music, gang – a real departure from my Musical Theatre roots. A hard life journey, a harder edge. 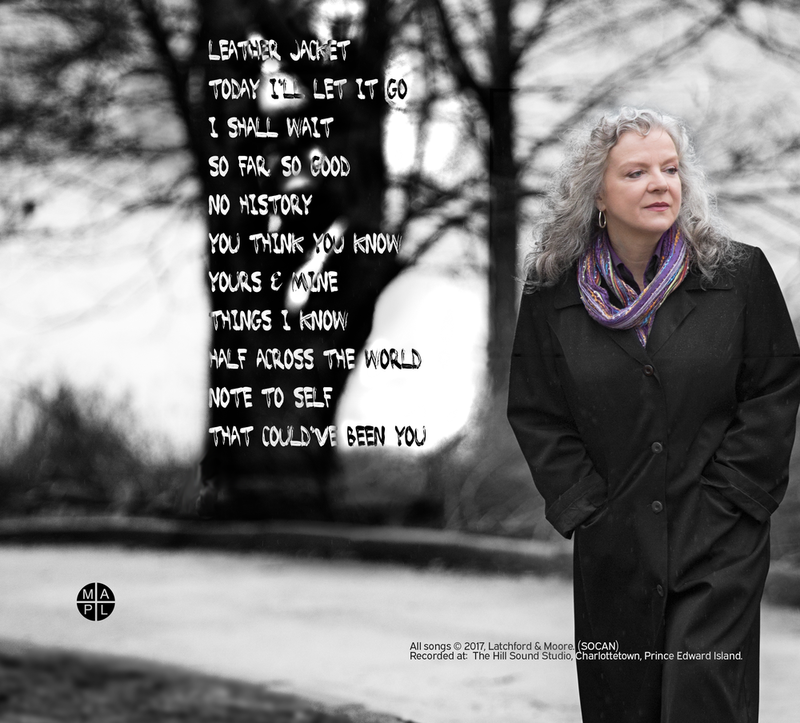 All music by Dianne Latchford, all lyrics by Yours Truly. Arranged and produced by Chris Corrigan in Charlottetown, PEI with world-class musicians from the East Coast. I am thrilled and terrified to share this music with you! Over the years I have had the honour and privilege to work on many new Canadian musicals, both in workshop and production. I have been fortunate enough to experience the magic of singing truly wonderful songs only to be left with the disappointing knowledge that these magnificent gifts would not be celebrated beyond the initial production. How do other songs become standards? How could this work be celebrated? How could this work be shared? Then I realized what I could do. I would record my own album of songs from the Canadian musical canon that I have had the good fortune of being involved with. — John Gray, "Billy Bishop Goes To War"
The composers include Neil Bartram, Jim Betts, John Gray, Mavor Moore, Leslie Arden, Allen Cole, Marek Norman & Richard Ouzounian, David Warrack, Joey Miller & James Saar, Jim Crocini & John Bertram, Steve Thomas & Norm Foster, and, of course, the guy who unwittingly started the whole idea, Patrick Rose. One of the great joys of this project was going over to the various composer's houses and listening to them play – magical afternoons I will never forget. I had my coat on and was leaving Allen Cole's with a pile of sheet music under my arm when he said: "Maybe I should play you this one. It's kinda crazy..." and , of course, that's the one we're doing. The two songs of my Dad's that we're doing haven't been heard for almost fifty years – in the States, they'd be part of the jazz lexicon by now and that's how we're treating them – as jazz standards. The reprise of Neil Bartram's song that opens and closes the CD has since been cut from the show, but he has graciously allowed us to keep it: "consider them to be the 'Lost In Boston' lyrics," said Neil. A lot are from shows I've done in the past, and several are from very recent shows I hope to do. The selection is eclectic, fun, and a real cross-section of people who are all writing today and are all, really, friends of mine. Except for the song from John Gray's Billy Bishop Goes to War – which had its own small release original cast recording – none of the songs had ever been recorded before. Co-producer Mark Camilleri created some fabulous arrangements – everything from Big Band to solo piano and back again. Some wonderful guest musicians came through Mark's doors – Paul Sportelli, John Alcorn, and Guido Basso just to name a few. Stan Rogers – A Matter of Heart was the greatest musical experience of my career thus far. All four singers (myself, Dan Mackay, Frank MacKay, and Terry Hatty) were treated like fellow musicians by the band – and what a band it was! Paul Mills, Rogers' own producer and bandmate, and Bob Ashley redid all the arrangements beautifully. Both played with passion and grace. It was an absolute joy to get to sing this material every night.